Third-party visitation is in the best interests of the child(ren) – This is the number one concern of the court when it comes time to make any decisions regarding custody, legal decision making and visitation for a child. If grandparents or others who want third-party visitation can establish that granting this visitation is in the child(ren)’s best interest, the court will usually award it to the requesting party. The parents of the child(ren) are already divorced – In particular, the parents of a child must have been divorced for at least 3 months before the court will consider granting third-party visitation. The child was born to unmarried parents – If the parents of a child were never married, then there may also be grounds for a family court to grant third-party visitation to non-parents of a child. One parent is no longer in the picture – Another reason for granting third-party visitation can arise when one parent is no longer in a child’s life. Specifically, this can occur when one parent passes away, goes missing, is incarcerated, abandons the child, etc. The past relationship between the child and the person requesting third-party visitation. The reasons that a non-parent may be requesting third-party visitation. The reasons that a biological parent may be denying visitation to the third party. How much visitation or time is being requested by the non-parent. Do you need help asserting your third-party visitation rights? If so, you can trust Scottsdale Family Law Attorney Karen Schoenau for experienced help, honest answers and effective representation. Since 1987, Karen Schoenau has been committed to helping people resolve their sensitive family law matters, including complex cases related to custody and visitation matters. Honest answers and straightforward advice regarding your best options for resolving your custody and other family law issues. Help getting through the emotional and psychological impacts related to your family legal issues. The highest-quality legal services at reasonable rates. 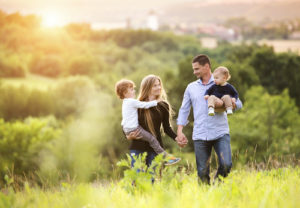 To get help asserting your third-party visitation rights, schedule an initial consultation with Attorney Karen Schoenau today. You can set up this meeting by calling 480-845-0251 or by emailing us using the contact form.